I am an Assistant Professor at the Department of Electrical and Computer Engineering (ECE) at Aarhus University. My research aims to develop advanced methods for geometric and qualitative spatial reasoning in the context of Artificial Intelligence and Knowledge Representation and Reasoning, with a particular focus on software engineering methodologies and real-world, industry-scale applications. 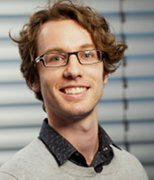 Previously I was a researcher and lecturer working in the Spatial Intelligence Lab (SIL) at the University of Muenster (2015-2017), and a postdoctoral researcher in the Cognitive Systems group at the University of Bremen (2010 - 2015). I completed my PhD in the Department of Computer Science at the University of Auckland, supervised by Prof. Robert Amor and Prof. Hans Guesgen (2006 - 2010). 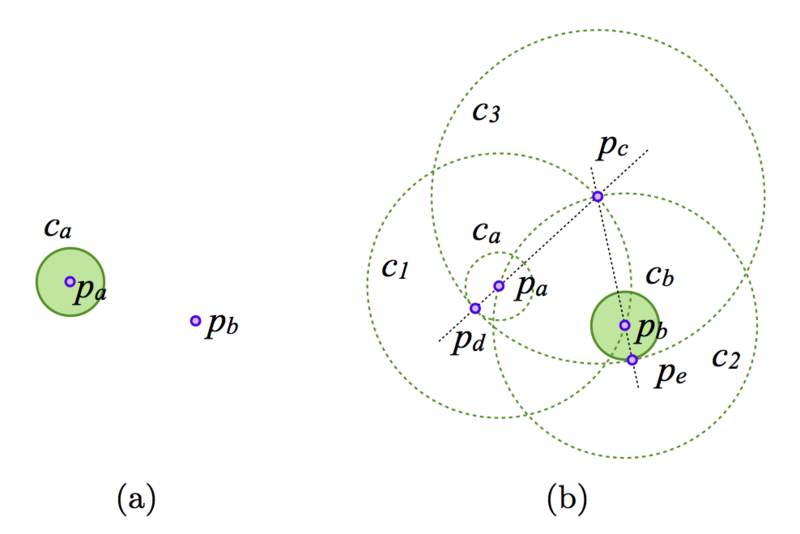 Euclid's ruler and compass method for the compass equivalence theorem, transferring the radius of ca to construct a new circle cb centred on pb with the same radius. 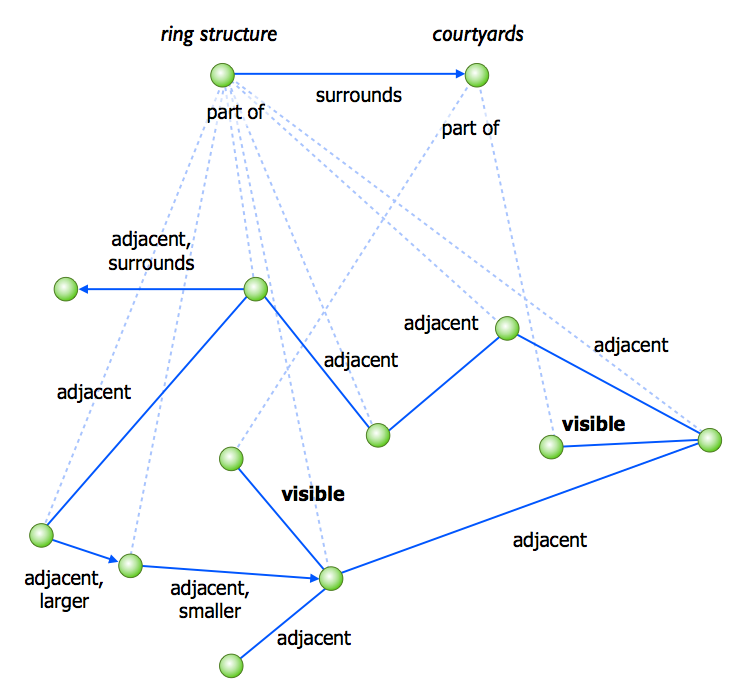 Incorporate cell ontologies and computer vision to build a conceptual model and interactive diagram of objects in the image using CLP(QS), including both semantic and qualitative spatial relations. Non-monotonically inferring actions and qualitative spatial relations in ASPMT(QS). 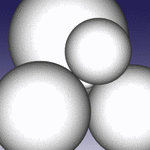 Declaratively finding the maximum number of spheres that can be mutually touching using CLP(QS). Przemyslaw Walega, Carl Schultz, and Mehul Bhatt. “Non-Monotonic Spatial Reasoning with Answer Set Programming Modulo Theories”. In: Theory and Practice of Logic Programming (2016). 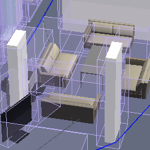 I employ Artificial Intelligence methods for enhanced Building Information Modelling (BIM) and architectural design, including design analysis and empirical experiments. I am a co-founding member of the DesignSpace Group, an international research and consultation group. I work with real-world architecture projects, industry-scale data, and industry collaborators, such as the New Parkland Hospital project, currently the largest hospital construction project in the US. 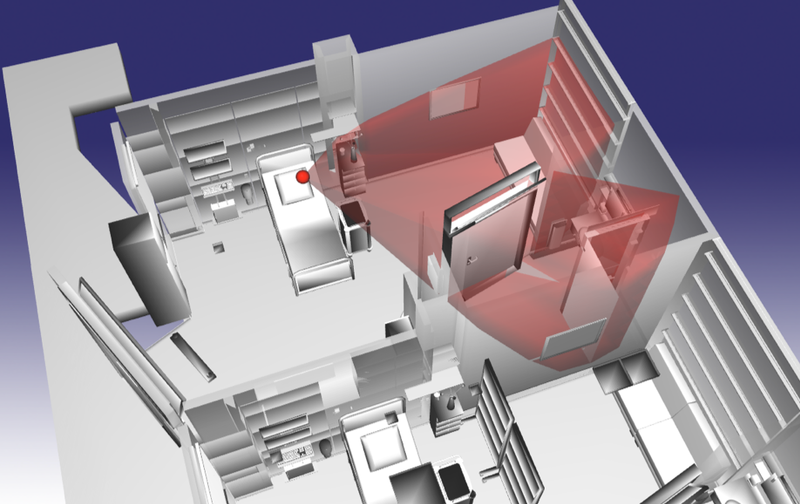 Computing the visibility space (red region) as an agent moves through the environment. 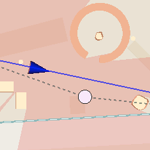 Taking the functional space of objects (blue regions) into account when simulating agent paths through the environment. 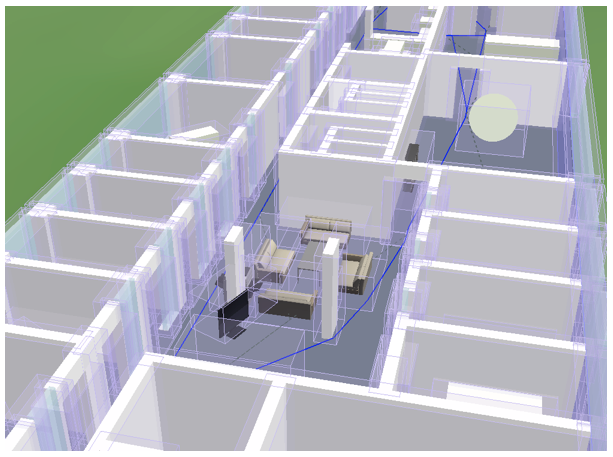 High-level analysis of 3D visibility volumes in real-world hospital building models. Hierarchical qualitative spatial network of building designs with relative placement and visibility relations. Carl Schultz, Mehul Bhatt, and André Borrmann. “Bridging Qualitative Spatial Constraints and Feature-Based Parametric Modelling: Expressing Visibility and Movement Constraints”. In: Advanced Engineering Informatics (2015). Mehul Bhatt, Carl Schultz, and Madhura Thosar. “Computing Narratives of Cognitive User Experience for Building Design Analysis: KR for Industry Scale Computer-Aided Architecture Design”. In: Principles of Knowledge Representation and Reasoning: Proceedings of the 14th International Conference (KR 2014). Vienna, Austria, 2014. ASPMT(QS) integrates spatial reasoning within the KR framework Answer Set Programming Modulo Theories (ASPMT) to support spatial abduction, default spatial reasoning, spatial inertia, ramifications, and other forms of non-monotonic spatial reasoning. Project participant, EU Project proposal (Horizon 2020), “its4land: Geospatial Technology	Innovations for	Land Tenure Security in East Africa”, coordinated by Markus Gerke, 2016 (application successful). Participant, German Research Foundation Round Table in preparation for a Priority Programme proposal (DFG SPP), “Human-Centred Spatial Design”, co-initiators: Elisabeth Andre, Mehul Bhatt, André Borrmann, Christian Freksa, Christoph Hölscher, Christoph Schlieder. July 2014, Bonn, Germany. Best Paper Award, Conference on Logic Programming and Non-monotonic Reasoning (LPNMR), Lexington, KY, USA (2015). Best Paper Award, Urban Data Management Symposium (UDMS), Delft, Netherlands (2011). Best Ph.D. Thesis Award, Department of Computer Science, The University of Auckland (2010). Bright Futures Top Achiever Doctoral Scholarship, Tertiary Education Commission, New Zealand (2006). Department of Computer Science Best Paper Award, The University of Auckland (2006). One-day workshop “Intelligence in Subsurface Infrastructure: Research workshop on enhanced methodologies and next-generation systems and concepts for construction operations in the underworld”, University of Twente, November 2017, Enschede, Netherlands. Half-day tutorial on “Spatial cognition in the wild: methods for large-scale behavioural research in visuo-locomotive perception”, Conference on Spatial Information Theory (COSIT 2017), September 2017, L'Aquila, Italy. Half-day tutorial on “Declarative Spatial Reasoning - Theory, Methods, Applications”, 26th International Joint Conference on Artificial Intelligence (IJCAI 2017), August 2017, Melbourne, Australia. Half-day tutorial on “Declarative Spatial Reasoning - Theory, Methods, Applications”, European Conference on Artificial Intelligence (ECAI 16), August 2016, The Hague, The Netherlands. Symposium on “Human Behaviour, Design, and the Built Environment: The Case of Visuo-Spatial Cognition and Computation”, 6th International Conference on Spatial Cognition (ICSC 15), September 2015, Rome, Italy. Half-day seminar on “Universal Design and the Built Environment: Cognitive Technologies and Educational Discourse for People-Centered Spatial Thinking and Architecture Design”, Environmental Design Research Association Seminar (EDRA Inquiry and Research Intensive), May 2014, New Orleans, USA. Half-day seminar on “Holistic Spatial Design: Functional Tool-Sets as Repositories of People-centered Spatial Design Principles”, Environmental Design Research Association Seminar (EDRA Inquiry and Research Intensive), May 2013, Providence, Rhode Island, USA. Sahib Jan, Angela Schwering, Carl Schultz, and Malumbo Chaka Chipofya. 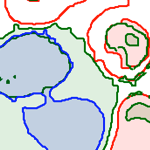 “Cognitively plausible representations for the alignment of sketch and geo-referenced maps”. In: Journal of Spatial Information Science 2017.14 (2017), pp. 31–59. Przemyslaw Walega, Carl Schultz,and Mehul Bhatt.“Non-monotonic spatial reasoning with Answer Set Programming Modulo Theories”. In: Theory and Practice of Logic Programming 17.2 (2017), pp. 205–225. Carl Schultz, Mehul Bhatt, and André Borrmann. “Bridging qualitative spatial constraints and feature-based parametric modelling: Expressing visibility and movement constraints”. In: Advanced Engineering Informatics 31 (2017), pp. 2–17. Malumbo C. Chipofya, Carl Schultz, and Angela Schwering. “A meta- heuristic approach for efficient and effective sketch-to-metric map alignment”. In: International Journal of Geographical Information Science 29.1 (2015). Carl Schultz and Mehul Bhatt. 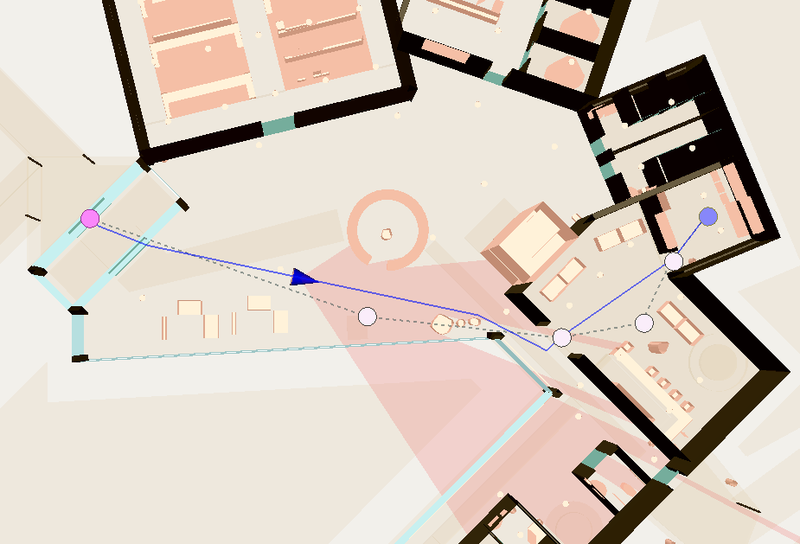 “Multimodal spatial data access for architecture design assistance”. In: AI EDAM: AI for Engineering Design, Analysis and Manufacturing., Special Issue on: Design Computing and Cognition 26.2 (2012), pp. 177–203. Carl Schultz, Robert Amor, Brenda Lobb, and Hans W. Guesgen. “Qualitative design support for engineering and architecture”. In: Advanced Engineering Informatics 23.1 (2009), pp. 68–80. Mehul Bhatt and Carl Schultz. “Architectural Design Cognition: People-Centred Visuo-Spatial Cognition, and its Role in Systems and Educational Discourse for Design Conception, Computing, and Communication”. In: Anthology on: Imagery in the Age of Modelling: Operative Artifacts in the Design Process in Architecture and Engineering / Bildlichkeit im Zeitalter der Modellierung. Operative Artefakte in Entwurfsprozessen der, Fink Verlag (Munich) (2017). Ed. by Sabine Ammon and Inge Hinterwaldner. Mehul Bhatt, Carl Schultz, and Christian Freksa. “The ‘Space’ in Spatial Assistance Systems: Conception, Formalisation and Computation”. In: Representing space in cognition: Interrelations of behavior, language, and formal models. Series: Explorations in Language and Space (2013). Ed. by Thora Tenbrink, Jan Wiener, and Christophe Claramunt, pp. 171– 214. Carl Schultz, Robert Amor, and Hans W. Guesgen. “Methodologies for qualitative spatial and temporal reasoning application design”. In: ed. by Shyamanta M. Hazarika. IGI Global, 2012. Chap. 4, pp. 168–202. Jakob Suchan, Mehul Bhatt, Przemyslaw Walega, and Carl Schultz. 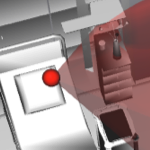 “Visual Explanation by High-Level Abduction: On Answer-Set Programming Driven Reasoning about Moving Objects”. In: Proceedings of the Thirty- Second AAAI Conference on Artificial Intelligence (AAAI), February 2-7, 2018, New Orleans, USA. 2018. Vasiliki Kondyli, Carl Schultz, and Mehul Bhatt. “Evidence-Based Parametric Design: Computationally Generated Spatial Morphologies Satisfying Behavioural-Based Design Constraints”. In: 13th International Conference on Spatial Information Theory, COSIT 2017, September 4-8, 2017, L’Aquila, Italy. Schloss Dagstuhl - Leibniz-Zentrum fuer Informatik, 2017, 11:1–11:14. Mila Koeva, Rohan Bennett, Markus Gerke, Sophie Crommelinck, Claude Stocker, Joep Crompvoets, Serene Ho, Anglea Schwering, Malumbo Chipofya, Carl Schultz, Tarek Zein, Mireille Biraro, Berhanu Alemie, Robert Wayumba, and Kaspar Kundert. “Towards Innovative Geospatial Tools for Fit-for-Purpose Land Rights Mapping”. In: ISPRS - International Archives of the Photogrammetry, Remote Sensing and Spatial Information Sciences XLII-2/W7 (2017), pp. 37–43. Jakub Krukar, Carl Schultz, and Mehul Bhatt. “Towards Embodied 3D Isovists: Incorporating cognitively-motivated semantics of ‘space and the architectural environment in 3D visibility analysis”. In: Proceedings of the 11th Space Syntax Symposium. Ed. by Teresa Heitor, Miguel Serra, Joao Pinelo Silva, Maria Bacharel, and Luisa Cannas da Silva. Instituto Superior Tecnico, Departamento de Engenharia Civil, Arquitetura e Georrecursos, Portugal, 2017, pp. 2549–2561. Malumbo Chipofya, Sahib Jan, Carl Schultz, and Angela Schwering. "Towards Smart Sketch Maps for Community-driven Land Tenure Recording Activities". 20th AGILE International Conference on Geographic Information Science, Wageningen, Netherlands, 2017. Rohan Bennett, Markus Gerke, Joep Crompvoets, Serene Ho, Angela Schwering, Malumbo Chipofya, Carl Schultz, Tarek Zein, Mireille Biraro, Berhanu Alemie, Robert Wayumba, Kaspar Kundert, Sophie Crommelinck, Claudia Stöcker, "Building Third Generation Land Tools: Its4land, Smart Sketchmaps, UAVs, Automatic Feature Extraction, and the GeoCloud". Annual World Bank Conference on Land and Poverty, Washington D.C., USA, 2017. Jakob Suchan, Mehul Bhatt, and Carl Schultz. “Deeply Semantic Inductive Spatio-Temporal Learning”. In: 26th International Conference on Inductive Logic Programming (ILP 2016) (accepted for publication). 2016. Carl Schultz, Mehul Bhatt, and Jakob Suchan. “Probabilistic Spatial Reasoning in Constraint Logic Programming”. In: 10th International Conference on Scalable Uncertainty Management (SUM 2016). Nice, France, 2016, pp. 289–302. Mehul Bhatt, Jakob Suchan, Vasiliki Kondyli, and Carl Schultz. “Embodied Visuo-Locomotive Experience Analysis: Immersive Reality Based Summarisation of Experiments in Environment-Behaviour Studies”. In: Proceedings of the ACM Symposium on Applied Perception (ACM SAP 2016). ACM. 2016, pp. 133–133. Carl Schultz and Mehul Bhatt. “A Numerical Optimisation Based Characterisation of Spatial Reasoning”. In: Rule Technologies. Research, Tools, and Applications: 10th International Symposium, RuleML 2016, Stony Brook, NY, USA, July 6-9, 2016. Mehul Bhatt, Jakob Suchan, Carl Schultz, Vasiliki Kondyli, and Saurabh Goyal. “Artificial Intelligence for Predictive and Evidence Based Architecture Design”. In: AAAI Conference on Artificial Intelligence. Phoenix, Arizona, USA, 2016. Malumbo Chipofya, Angela Schwering, Sahib Jan, Carl Schultz, and Emily Harason. “Left/right relations for Qualitative Spatial Representation of Networks”. In: 14th Mexican International Conference on Artificial Intelligence. Cuernavaca, Mexico, 2015. Przemyslaw Walega, Mehul Bhatt, and Carl Schultz. 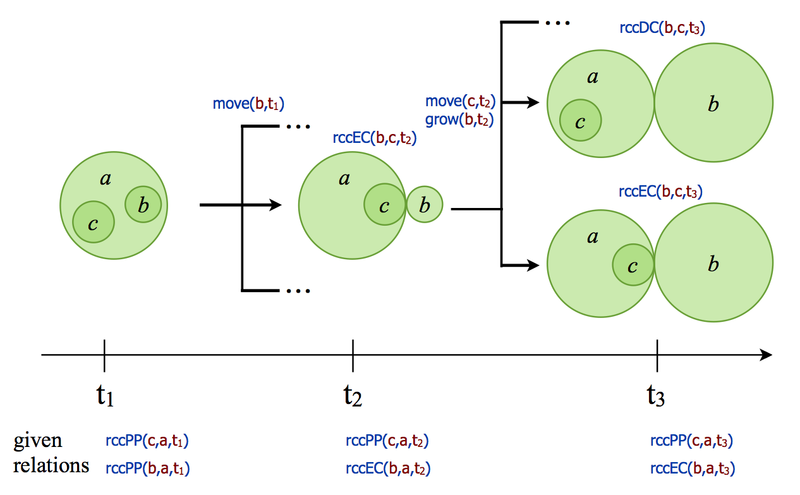 “ASPMT(QS): Non- Monotonic Spatial Reasoning with Answer Set Programming Modulo Theories”. In: LPNMR: Logic Programming and Nonmonotonic Reasoning - 13th International Conference. (best paper award). Lexington, KY, USA, 2015. Carl Schultz and Mehul Bhatt. 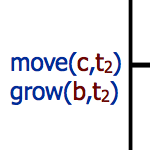 “Spatial Symmetry Driven Pruning Strategies for Efficient Declarative Spatial Reasoning”. In: Proceedings of the 12th International Conference on Spatial Information Theory. COSIT 15. Santa Fe, New Mexico, USA, 2015. Carl Schultz and Mehul Bhatt. “Declarative Spatial Reasoning with Boolean Combinations of Axis-Aligned Rectangular Polytopes”. In: 21st European Conference on Artificial Intelligence (ECAI 2014). Prague, Czech Republic, 2014. Mehul Bhatt, Carl Schultz, and Madhura Thosar. “Computing Narratives of Cognitive User Experience for Building Design Analysis: KR for Indus- try Scale Computer-Aided Architecture Design”. In: Principles of Knowledge Representation and Reasoning: Proceedings of the 14th International Conference (KR 2014). Vienna, Austria, 2014. Mehul Bhatt and Carl Schultz. “People-Centered Spatial Design: On Visuo- Spatial Cognition in the Built Environment”. In: International Conference on Human Behaviour in Design. Ascona, Switzerland, 2014. Carsten Gondorf, Carl Schultz, and Mehul Bhatt. “Qualitative Eye-Tracking Analyses of Problem Solving Strategies in Children with Dyslexia”. In: CILC2014 - 2nd International Conference on Interactivity, Language and Cognition. International Society for the Study of Interactivity, Language, and Cognition (ISSILC). Finland, 2014. Carl Schultz and Mehul Bhatt. “InSpace3D: A Middleware for Built Environment Data Access and Analytics”. In: International Conference on Computational Science (ICCS 2013), in co/operation with SIGHPC. Barcelona, Spain, 2013, pp. 80–89. Carl Schultz and Mehul Bhatt. “Towards a Declarative Spatial Reasoning System”. In: 20th European Conference on Artificial Intelligence (ECAI 2012). Montpellier, France, 2012. Carl Schultz and Mehul Bhatt. “Toward Accessing Spatial Structure from Building Information Models”. In: 28th Urban Data Management Symposium (UDMS 2011), International Archives of the Photogrammetry, Remote Sensing and Spatial (ISPRS). (best paper award). Delft, Netherlands, 2011, pp. 25–30. Mehul Bhatt, Jae Hee Lee, and Carl Schultz. “CLP(QS): A Declarative Spatial Reasoning Framework”. In: Proceedings of the 10th international conference on Spatial information theory. COSIT’11. Belfast, ME, USA: Springer-Verlag, 2011, pp. 210–230. isbn: 978-3-642-23195-7. Mehul Bhatt, Carl Schultz, and Minqian Huang. “The Shape of Empty Space: Human-Centred Cognitive Foundations in Computing for Spatial Design”. In: VL/HCC 2012: IEEE Symposium on Visual Languages and Human-Centric Computing. Innsbruck, Austria, 2012, pp. 33–40. Carl Schultz, Robert Amor, and Hans W. Guesgen. “The Impact of Qualification on the Application of Qualitative Spatial and Temporal Reasoning Calculi”. In: Australasian Joint Conference on Artificial Intelligence (AI 10). Adelaide, Australia, 2010, pp. 62–71. Carl Schultz, Robert Amor, and Hans W. Guesgen. “Towards a theory of application for QSTR systems”. In: Proceedings of the AAAI Symposium: Benchmarking of Qualitative Spatial and Temporal Reasoning Systems. Stanford, USA, 2009, pp. 29–34. Carl Schultz, Robert Amor, and Hans W. Guesgen. “Unit testing for qualitative spatial and temporal reasoning”. In: Proceedings of the Florida Artificial Intelligence Research Society Conference (FLAIRS-22). Sanibel Island, Florida, USA, 2009, pp. 402–407. Carl Schultz, Robert Amor, and Hans W. Guesgen. “A Framework for Applying Qualitative Spatial and Temporal Reasoning”. In: Proceedings of the New Zealand Computer Science Research Student Conference (NZC- SRSC 2008). Christchurch, New Zealand, 2008, pp. 159–164. Carl Schultz, Hans W. Guesgen, and Robert Amor. 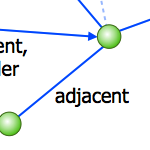 “A System for Querying with Qualitative Distances in Networks”. In: Proceedings of Flexible management of spatial data in GISs, IEEE International Conference on Fuzzy Systems (FUZZ-IEEE 07). London, England, 2007, pp. 640–645. Carl Schultz, Robert Amor, and Hans W. Guesgen. “A Decision Support Software Tool for Reasoning About the Subjective Impressions of a Lighting Installation”. In: Proceedings of CIB W78 conference on Bringing ITC knowledge to work. Maribor, Slovenia, 2007, pp. 507–513. Carl Schultz, Robert Amor, and Hans W. Guesgen. “A Framework for Supporting the Application of Qualitative Spatiotemporal Reasoning”. In: Proceedings of the Fifth New Zealand Computer Science Research Student Conference (NZCSRSC-07). Hamilton, New Zealand, 2007, pp. 39–46. Carl Schultz, Tim R. Clephane, Hans W. Guesgen, and Robert Amor. “Utilisation of Qualitative Spatial Reasoning in Geographic Information Systems”. In: Proceedings of the 12th International Symposium on Spatial Data Handling (SDH 06). Vienna, Austria, 2006, pp. 27–42. Carl Schultz, Tim R. Clephane, Hans W. Guesgen, and Robert Amor. “Computer-Human Interaction Issues when Integrating Qualitative Spatial Reasoning into Geographic Information Systems”. In: Proceedings of New Zealand Chapter’s International Conference on Computer-Human Interaction, ACM SIGCHI (CHINZ 06). Christchurch, New Zealand, 2006, pp. 43–51. Paulina Racz, Lars Syfuss, Carl Schultz, Marc van Buiten, Léon olde Scholtenhuis, Farid Vahdatikhaki, and Andrée Dorée, "Decision Support for Test Trench Location Selection with 3D Semantic Subsurface Utility Models". International Workshop on Computing for Civil Engineering (IWCCE), Seattle, WA, USA, 2017. Paulo E. Santos, Roberto Casati, Hannah Dee, Carl Schultz, and Mehul Bhatt. “Eclipse in Occlusion: A mereotopological representation of celestial eclipses”. In: International Workshop on Qualitative Reasoning. New York, USA, 2016. Carl Schultz and Mehul Bhatt. “Constructive Geometric Constraint Solving as a General Framework for KR-Based Commonsense Spatial Reasoning”. In: Workshop on Declarative Learning Based Programming (DeLBP), co-located with the Association for the Advancement of Artificial Intelligence (AAAI-16). Phoenix, Arizona, USA, 2016. Carl Schultz and Mehul Bhatt. “Encoding Relative Orientation and Mereotopology Relations with Geometric Constraints in CLP(QS)”. In: 1st Workshop on Logics for Qualitative Modelling and Reasoning (LQMR’15). Lodz, Poland, 2015. Sahib Jan, Carl Schultz, Angela Schwering, and Malumbo Chipofya. “Spatial Rules for Capturing Qualitatively Equivalent Configurations in Sketch maps”. In: 1st Workshop on Logics for Qualitative Modelling and Reason- ing (LQMR’15). Lodz, Poland, 2015. Sahib Jan, Angela Schwering, Carl Schultz, and Malumbo Chipofya. 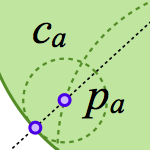 “RCC11: A Finer Topological Representation for the Alignment of Regions in Sketch Maps”. In: 28th International Workshop on Qualitative Reasoning. Minneapolis, MN, USA, 2015. Carl Schultz, Mehul Bhatt, and André Borrmann. “Bridging Qualitative Spatial Constraints and Parametric Design - A Use Case with Visibility Constraints”. In: 21st International Workshop - Intelligent Computing in Engineering (EG-ICE). Cardiff, United Kingdom, 2014. Carl Schultz and Mehul Bhatt. “Declarative Computing with Shapes, and their Shadows”. In: Proceedings of Workshop, SHAPES 2.0: The Shape of Things (SHAPES 2.0). Co-located with UniLog 2013: 4th World Congress and School on Universal Logic. Rio de Janeiro, Brazil, 2013. Mehul Bhatt, Jakob Suchan, and Carl Schultz. “Cognitive Interpretation of Everyday Activities - Toward Perceptual Narrative Based Visuo-Spatial Scene Interpretation”. In: Computational Models of Narrative (CMN), a satellite workshop of CogSci 2013: The 35th meeting of the Cognitive Science Society. Vol. 32. OpenAccess Series in Informatics (OASIcs). Hamburg, Germany: Schloss Dagstuhl - Leibniz-Center of Informatics; Dagstuhl, Germany, 2013, pp. 24–29. Carl Schultz and Mehul Bhatt. “A multi-modal data access framework for spatial assistance systems: use-cases with the building information model (BIM/IFC)”. In: Proceedings of the 2nd ACM SIGSPATIAL International Workshop on Indoor Spatial Awareness. ACM SIGSPATIAL GIS. San Jose, CA, USA, 2010, pp. 39–46. Carl Schultz, Robert Amor, and Hans W. Guesgen. “H-complexity metric for qualitative spatial and temporal reasoning applications”. In: Proceedings of Workshop on Spatial and Temporal Reasoning, International Joint Conference on Artificial Intelligence (IJCAI-09). Pasadena, USA, 2009, pp. 52–60. Carl Schultz, Robert Amor, and Hans W. Guesgen. “Development Frame- work for Qualitative Spatial and Temporal Reasoning Systems”. In: Tech- nical Report WS-08-11. Menlo Park, California, USA: AAAI Press, 2008, pp. 48–52. Carl Schultz, Robert Amor, and Hans W. Guesgen. “A Framework for Supporting the Application of Qualitative Spatiotemporal Reasoning”. In: Proceedings of the Spatial and Temporal Reasoning AAAI Workshop, Technical report WS-07-12. Menlo Park, California, USA: AAAI Press, 2007, pp. 34–39.